Just got home from the mine and the roads are terrible even knowing that we went through the road block sign and made it home safe. 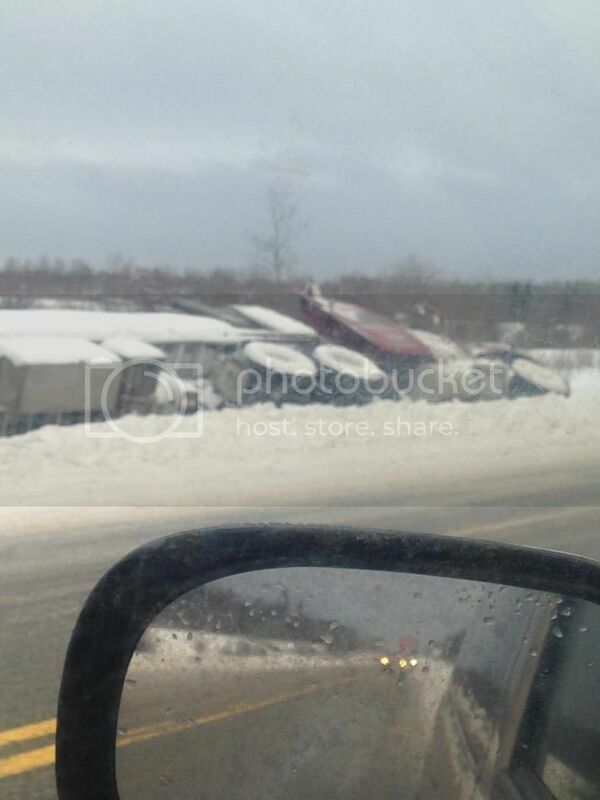 More tractor trailers in the ditches of highway 11....lets piled them up. Road blocked sign? I believe doing that is illegal. I'm calling Batman to confirm. JohnW wrote: Road blocked sign? I believe doing that is illegal. At the Driftwood corner, someone flipped the sign to make it look like Hwy 655 was close instead of Hwy 11..... it was our lucky day I guess. We got home safe and that's what matters. Tomorrow is another day. 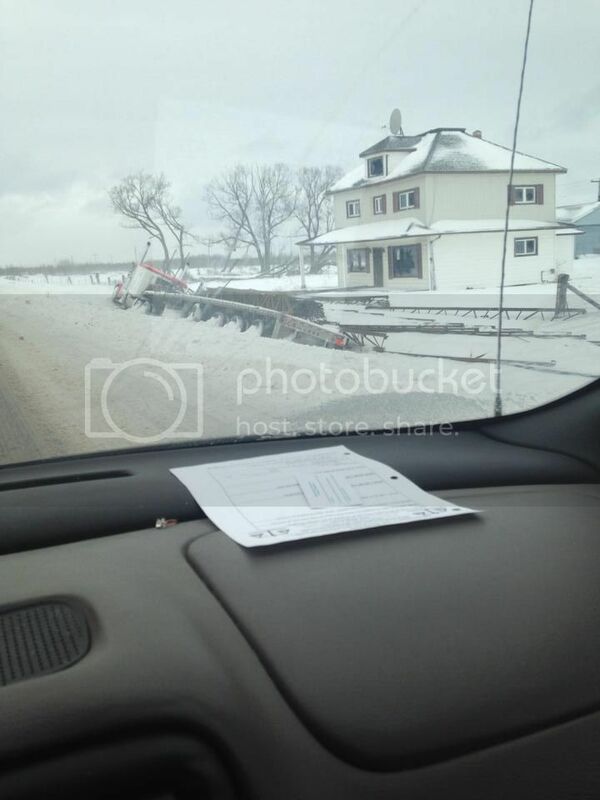 Breaking News : Hwy 11 Kap to Cochrane is now open. Drive safe. So where's the snow storm snow, looks like things melted overnight???? Not here... it's all snow for us. No snow here plus 10 and some rain. Ditto.... But six degrees warmer here. It's not even December yet and seems like the highways up there have been closed a lot already. 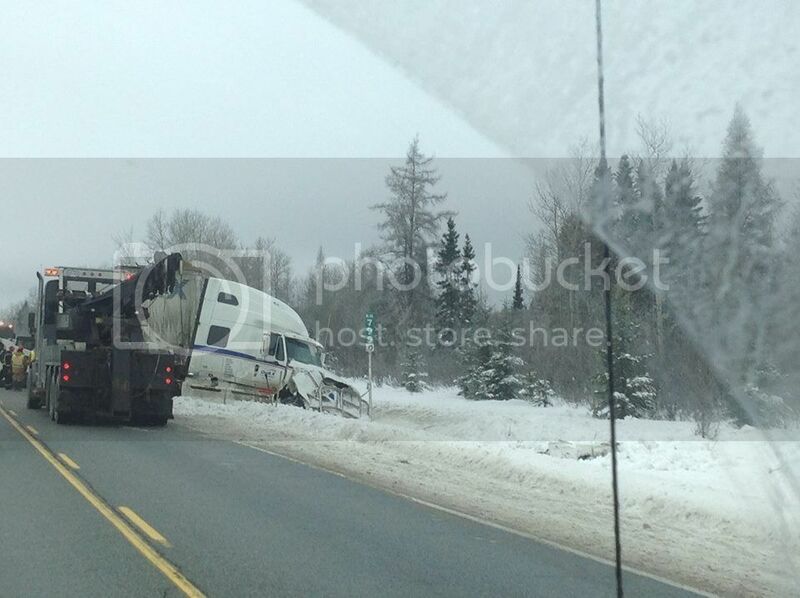 Transports along Highway 11 in the past few days between Smooth Rock Falls and Kap. Wow, interesting photos Risky. Didn't realize how bad the conditions were. I know where that last photo was taken. That house has been abandoned for a very long time. We drove home from Rouyn lady night. Roads were fine. Drove through Kirkland Lake. 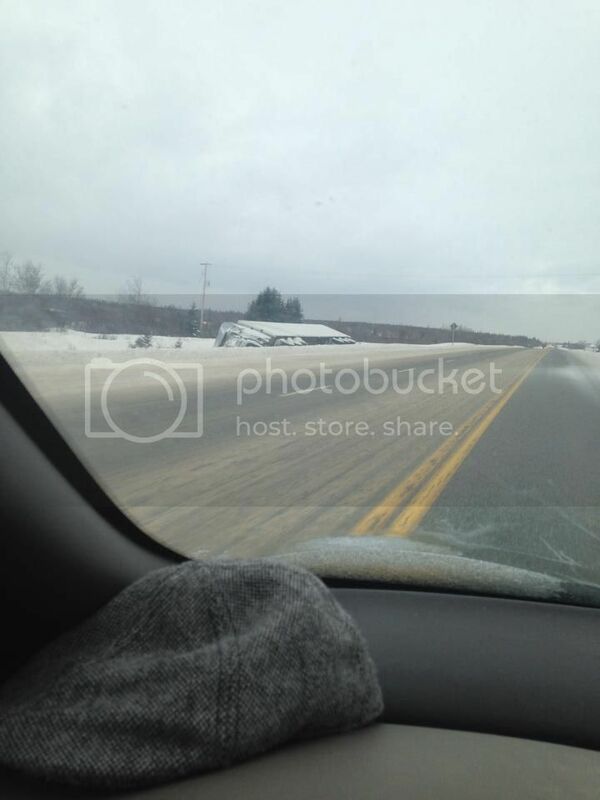 Breaking News : Another transport in the ditch about 1 km east of Smooth Rock Falls. When is this madness going to end. Smooth Rock to Kap always have the WORST road conditions. Why is that? I could never figure it out. From my experience I found the straight stretch East of SRF to be really bad in the Winter. And I think around Strickland was bad too but really any part was bad if it was icy and not sanded. 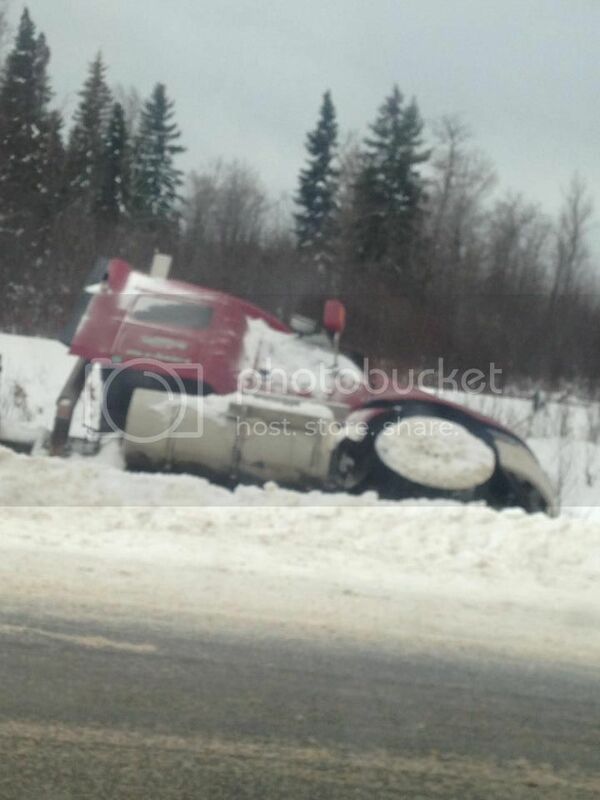 Yep, and one of the motors of the transport was in the middle of the highway. Another one this morning near Fauquier.